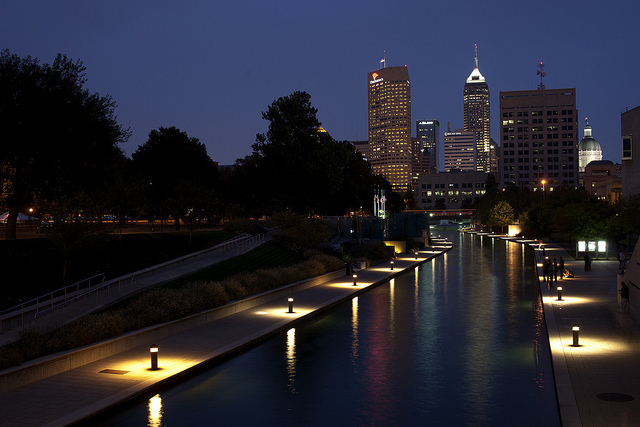 Indianapolis, Indiana is known as the second largest city in the Midwest with nearly 2 million residents. It’s also known as one of the best cities in the Midwest due to outdoor amenities, international cuisine, easy access to transportation, sports venues, and an excellent cost of living. Indianapolis residents have known how great their city is for years, but it’s clear that others are now cluing in to the gem that is Indianapolis as the real estate market heats up. Homes are selling quickly in Indiana and at competitively high prices with a low inventory. That means buyers interested in Indianapolis will need to work hard to find the right home at a good price. In the competitive Indianapolis real estate market, buyers and sellers alike will need to work with a qualified real estate professional that has their best interests in mind. That’s why it’s important to seek out an experienced, well reviewed real estate agent with a proven background of excellence. We’ve found the 15 best real estate agents that Indianapolis has to offer. These agents have years of experience, happy clients, and the expertise you’ll need to navigate the real estate market of Indianapolis successfully. They’re all great agents, so we’ve listed them in no particular order. But we would like to know which one is the best, so we encourage you to vote in our poll at the end of the article. Just don’t wait to vote, as the poll will close in 30 days! Charlene Gaard is owner and managing broker of NO LIMIT Real Estate, serving the Indianapolis area. 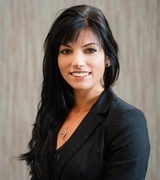 She specializes as a buyer’s agent and listing agent with special interest in first time home buyers, sellers, and investors as well as foreclosures and short sales. Gaard places an empasis on professional service with confidential and ethical real estate advice. She is also active in real estate and stays current on real estate trends. Her real estate designations include Certified Military Residential Specialist and Accredited Commercial Professional. Clients of Gaard say she is patient, a great listener, and offers excellent advice. They appreciate her no pressure approach and successful transactions. 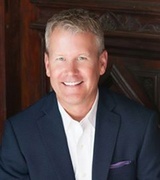 Scott Lacy is broker, owner, and cofounder of Asset One Real Estate in Indianapolis. He has more than 20 years of professional real estate experience and proven excellence in sales performance and client satisfaction. Lacy is a longtime resident of Indianapolis with an insider’s understanding of local real estate knowledge, neighborhoods, and the Indianapolis housing market. Clients benefit from his expert negotiation skills, comprehensive sales efforts, and years of experience in real estate. They say he is always professional, offers excellent communication, is informative, and goes out of his way to help clients in any way that he can. Mike Duncan has sold real estate since 1998, and since then, has completed more than 2,000 home sales totaling more than half a billion in sales. He’s proud to connect people to homes, and he does it well. The numbers speak for themselves: Duncan sells a home every 1.7 days at 98.8% of list price with an average of 61 days on the market. He is also highly educated in real estate, with designations including Accredited Buyer Representative, Accredited Staging Professional, Certified Residential Specialist, Master Graduate Realtor Institute, and Seniors Real Estate Specialist. Duncan’s clients say he is responsive, hard working, and able to deliver great results. Leader of the Shelly Walters Realty Group, Shelly Walters stands out with a 100% commitment to helping her clients attain their goals in real estate. She and her team offer immediate assistance to clients with questions about buying or selling homes, and maintain always on accessibility with outstanding service and communication. Walters is highly accomplished, with a number of recognitions including a ranking among the top 1,000 real estate agents in the U.S. by Real Trends as well as the top 1% of sold properties in Hamilton and Brown counties in 2014, as well as the top 1% of overall sales of MIBOR Realtors in 2013. Clients of Walters say she is easy to work with and offers a great experience. They appreciate her perspective and the knowledge she gives them to understand every step of the way. 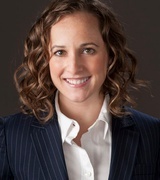 Associate broker and Realtor Erin Martin specializing in selling and buying homes in Indianapolis. Her services include not just home sales, but vacant land, for sale by owner, and multi family residences. With every service, Martin pledges to protect the interests of her clients with exception representation and high quality, professional customer service. Clients say she is a true advocate for them and always keeps their best interests in mind. They love her honest, upfront service, ability to answer questions, and most of all, her commitment to negotiating a great deal for them. 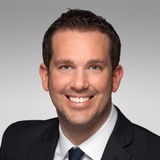 Owner of David Morris Homes with Keller Williams, David Morris has served the Indianapolis metro area as a real estate professional for more than 10 years. He is a full time real estate agent committed to following the latest Indianapolis real estate trends. Morris is known for his professionalism, dependability, and honest representation. 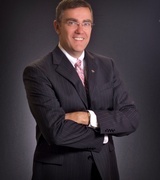 He is also noted for his designations in real estate, which include Graduate Realtor Institute and a Broker’s license. He is currently pursuing a Certified Residential Specialist designation. Clients say that Morris is easy to work with. They appreciate his flexibility and generosity with his time as well as his communication skills. 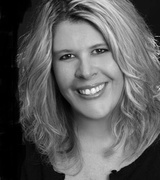 Lora Reynolds with Indy Homes Realty Group is a real estate agent and broker with more than 11 years of experience. She places heavy emphasis on trust, shared goals, and understanding in her relationships with buyers and sellers. This is achieved by always listening to clients, taking their wants and needs into consideration, and ultimately, letting clients make their own decisions with her expert support. She considers it both a duty and honor to serve her clients with valuable service. Clients say she is knowledgeable, able to quickly get information, and offers flexible, helpful service. They value her patience, positive outlook, and ability to help them find their dream home. Broker and owner of Newkirk Realty, Rob Newkirk has more than 13 years of experience in real estate. He has lived in central Indiana all of his life, and he specializes as a buyer’s agent and listing agent serving most of central Indiana. Newkirk also offers property management services and new construction sales. He’s proud to offer a variety of solutions for his clients, from selling to buying, renting, or building a home. His clients say that he is extremely professional, responsive, and knowledgeable. They love how well he is able to meet their requirements and appreciate his commitment to honesty. 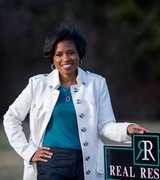 Tiffany Hill is managing broker and owner of Real Results. She specializes in real estate sales and is a certified real estate instructor, negotiator, and professional staging adviser. Hill has more than 18 years of experience in real estate and offers a full service real estate brokerage. She specializes in finding the perfect home for every family and puts her sellers in the best position to negotiate a great price for their homes. Clients say she is an incredible asset in real estate, making the process as painless as possible with her knowledge, quick responses, warm and professional demeanor, and ability to close the deal. 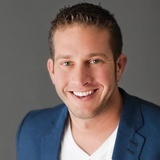 Leader of the Forney Group at Keller Williams, Eric Forney is a buyer’s agent and listing agent with a special interest in relocations and foreclosures. He has extensive market knowledge, and is committed to always keeping the best interest of his clients while delivering outstanding client satisfaction. Forney is known for his relentless work ethic, excellent negotiation skills, and unparalleled results. He is excited to serve every client from experienced investors to first time home buyers. Clients say Forney is able to deliver great results, including finding and selling homes quickly. They find him easy to work with and appreciate his responsiveness and willingness to share his knowledge. But most of all, they appreciate that he is trustworthy and looks out for them. 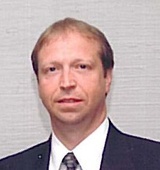 Frank Tinsley is a Realtor and managing broker of Quorum Realty Group. He has more than 26 years of real estate experience, including real estate investment and commercial and residential real estate. Tinsley also has degrees in business administration and accounting. 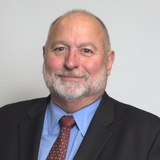 He has extensive knowledge of the Indianapolis real estate market including neighborhoods, schools, market conditions, zoning regulations, and the economy. 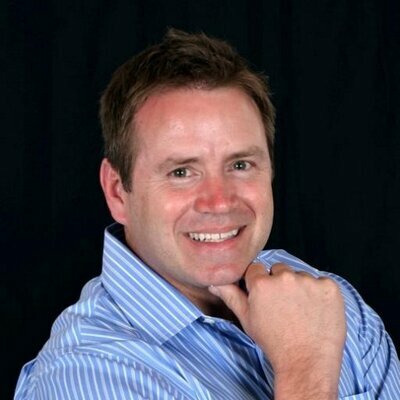 He is also a proficient negotiator and pricing expert, and delivers excellent service with the latest marketing and advertising techniques as well as weekly feedback and market updates. Tinsley is a member of the National Association of Realtors, Metropolitan Indianapolis Board of Realtors, and the Institute of Management Accountants. With his knowledge, excellent communication, and great service, clients say he is a pleasure to work with. They love his down to Earth personality and honesty in particular. Cassidy Ryan is an associate broker with Highgarden Real Estate. She specializes as a buyer’s agent and listing agent with special interests in relocation and consulting. Ryan is committed to ensuring the best deals and smoothest transactions for her clients, and she does her best to exceed their expectations. She enjoys the ability to better the lives of her clients and takes joy in her duties as a real estate professional. Ryan’s clients say she is thorough, polite, and an excellent communicator. They say they’ve gotten more than they expected and found her a pleasure to work with. Ron Rose is a Navy veteran, broker and owner of Indiana Realty Pros, with more than 33 years of experience in real estate. His mission is to help people as a buyer’s agent and listing agent in Indiana, and that he does as he ranks among the top 1% of all agents and brokers in the Indianapolis metro market. Clients benefit from his extensive network of bankers, inspectors, and contractors, as well as his experience with families, investors, landlords, tenants, and more. 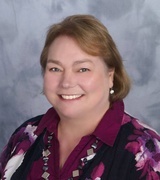 Rose is active not just in real estate but in the Indianapolis community as a volunteer at Center Grove High School and as a member of the Center Grove School Corporation Strategic Planning Committee. Clients value Rose’s service and especially his results as he is able to sell and locate homes quickly. They say he is thoughtful, understanding, and pays careful attention to detail as he looks out for their interests. Rodney Heard is the broker and owner of Heard Real Estate Team serving the Indianapolis area. 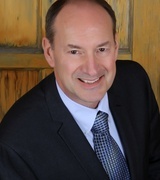 He has more than 20 years of experience in real estate and is a lifelong resident of the area. Heard is passionate about coaching clients through a successful move, streamlining the process of real estate sales for a virtually hassle free experience. Clients benefit from Heard’s team with strong negotiation skills, innovative marketing, excellent communication, and a thorough understanding of the Indianapolis real estate market. Clients say Heard and his team support them every step of the way professionally, and they have no question that they put the needs of their clients first. 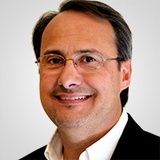 David Brenton is a buyer’s agent and listing agent based in Indianapolis. He recognizes the importance of his role in the lives of many families, and values his job as he helps clients find opportunities and guides them away from traps. He follows the trends and opportunities in Indianapolis and carefully guides his clients as they choose neighborhoods and homes. Brenton’s clients say he makes their experience stress free. He always answers questions quickly and thoroughly and is always ready for the next step with knowledgeable service. They especially value his generosity with his time and commitment to see them through until the end of their transaction — and beyond.